The need to conserve plants and create a spirit of care towards them has been the key concern among environmentalists. Father Cecil Saldanha, actualized his love for plants through the passionate and disciplined task of cataloging the biodiversity of flora of Karnataka. He later joined hands with Dr. Sankara Rao and the latter’s team to build a herbarium at St. Joseph’s College in Bengaluru. Reverend Father Cecil John Saldanha was a Professor of Botany at the St. Joseph’s College in Bangalore. Being a taxonomist extraordinaire and a Jesuit Priest, he came to be popularly known as the “Jesuit Scientist and Taxonomist of Karnataka”. Father Saldanha spent his entire life collecting, cataloging, classifying and preserving the rich biodiversity of the flora of Karnataka. The first major assignment that Father Saldanha undertook was to classify the entire flora of the Hassan District in Karnatak. This project occurred in 1968 and was carried out in collaboration with the Smithsonian Institution, USA. “The Flora of Hassan” spelled the success of this project and prompted Government of Karnataka to request Father Saldanha to assist in the collection and classification of the entire flora of the State. Despite understanding clearly that this was an enormous task, Father Saldanha undertook it with great rigor, intending to contribute in preservation of the rich biodiversity of the flora of Karnataka for posterity. Under the stewardship of Father Saldanha, a team of dedicated botanists carried out the first ever state-wide collection and classification of the flora of Karnataka between 1978 and 1996. This resulted in the collection of about 14,000 plant specimens belonging to over 5,000 species of plant groups. 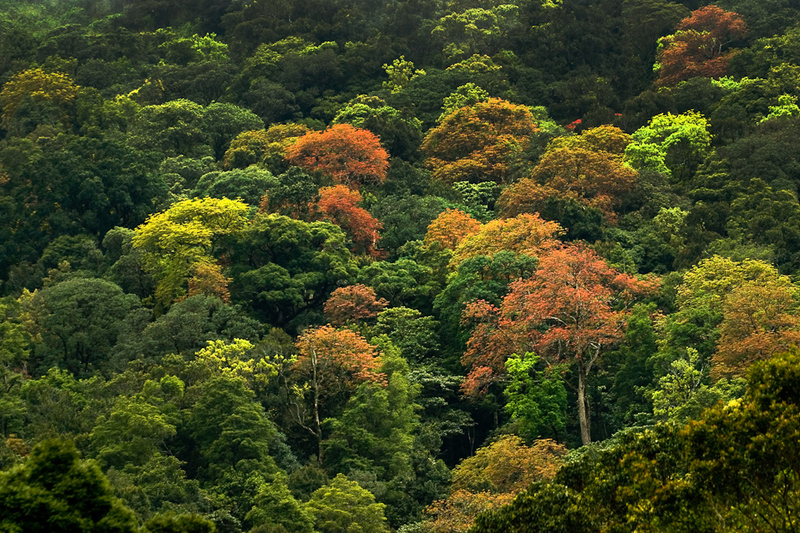 A large part of the collection was from the Western Ghats, one of the eight “hottest hotspots” of biological diversity in the world. This entire collection was preserved in a Herbarium meticulously created by Father Saldanha and housed in the Department of Botany, St. Joseph’s College, Bangalore. A herbarium is a house for preserving plants that are systematically categorized and displayed to be studied by botanists. A herbarium is akin to a library where each plant specimen is a book with its own unique life-story: place of origin, the flowering season and external appearance. These herbaria constitute an irreplaceable wealth for research and education. Properly sampled and preserved herbarium specimens stand as valuable aids in teaching, research and education. Father Cecil Saldanha donated his entire collection of plants to the Center for Ecological Sciences (CES) at the Indian Institute of Science, Bengaluru. Besides Father Saldanha, there are several others whose collections are housed at the CES in IISc. These include sample specimens donated by T.P. Ramamoorthy, K. N. Gandhi, Dan H. Nicolson, Frances M. Jarrett, Miss Shiela Hooper, Warren Douglas Stevens, B.C. Stone, Prof. R.E. Holttum (Flora of Hassan District, Flora of Karnataka), R. Raghavendra Rao (Flora of Mysore), K. Sankara Rao (Bannerghatta and Devarayanadurga collections), H. S. Suresh, Mr. Harish R. Bhat (Mudumalai Wildlife Sanctuary), and Hansraj Negi (Lichens from Nandadevi Biosphere Reserve). In 2013, a team of CES scientists and volunteers led by Dr. K Sankara Rao, who had closely interacted with Father Saldanha, began the painstaking process of digitizing each one on the vast plant specimens collected. Thankfully for them, Father Saldanha had meticulously labeled each of his specimens, with complete taxonomic details, so had the others who contributed their samples. The task of digitization was arduous, beginning with careful handling of folder, photographing the sample and preserving the original documents safely. All relevant information of the plant (meta-data) had to be entered into the computer to create an exhaustive plant taxonomic data base. It took Dr. Sankara Rao and his team seven years to complete the task. Their efforts have resulted in Karnataka’s first digital plant herbarium, which has been deemed one of the finest in the country. Today, the Virtual Open Access Herbarium or Plant Library at IISc, internationally called “Herbarium JCB”, (Joseph’s College Bangalore), contains 14,750 plant specimens belonging to about 5,000 species of plant groups such as angiosperms, gymnosperms, ferns and allies, collected from all over Karnataka. The collection is richest in plants from the State of Karnataka with holdings from the adjoining states of Tamil Nadu and Kerala as well. Specific groups represented well in the Herbarium include Cyperaceae, Fabaceae, Orchidaceae, Poaceae, Scrophulariaceae, Ferns and allies. Duplicates of plant specimens collected by Father Saldanha and his team are also displayed at the Royal Botanical Gardens (Kew, UK) and the Smithsonian Institution (USA). The portal uses the latest technological innovations to explore the world of plants. Giving testimony to this spirit, Dr Sankara Rao has said- “Digital photography that has emerged as an exciting medium for expression in the recent times is a thrilling overlap between science and art. It can be used to increase the universal appreciation of the infinite variety and beauty of natural form and color. This appreciation must lead to greater desire to conserve our dwindling resources of nature”. The database works on open source platform and is free to use. Students, researchers and scholars can easily approach it for information and it stands as a bio-awareness platform for the public. A Digital Herbarium for the flora of Karnataka: Current Science, Vol 102, No. 9, 10 May 2012, K Sankara Rao, et al.